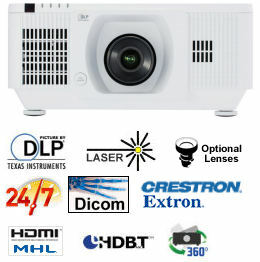 The new LP-WU6600 laser diode light source projector offers approximately 20,000 hours of operation time and is maintenance free, there is no lamp or filter to replace providing a dramatic reduction in total cost of ownership. In addition the LPWU6600 can adapt to any environment, with Lens shift and optional lenses instalation is a breeze. Light source combined Blue laser diodes and Phosphor can achieve 6,000 lumens. The projection image is bright, clear and vivid color. Since lamp exchange is unnecessary, maintenance cost is reduced. Furthermore, you do not need to worry about lamp life, and it is fit for digital signage purposes that require long hours of continuous projection. Because the product does not use mercury lamps, it is eco-friendly. With an approximate light source life of 20,000 hours, the LASER projector series is suitable for venues such as museums, restaurants and digitalsignage. Reduces the invasion of dust and other particles in the air that decreases the brightness when they get attached to the optical parts. Reduces the decrease in brightness due to dust, resulting in a long lasting bright, clear, and vivid colored picture. Eliminates the intake filter and filter maintenance. Achieved efficient cooling by adopting a heat pipe cooling system for the laser module. Contributes to the module's reliability due to its capabilities in reducing thermal stress. This mode is suitable for viewing grayscale medical images, such as X-rays, for training and educational purposes. 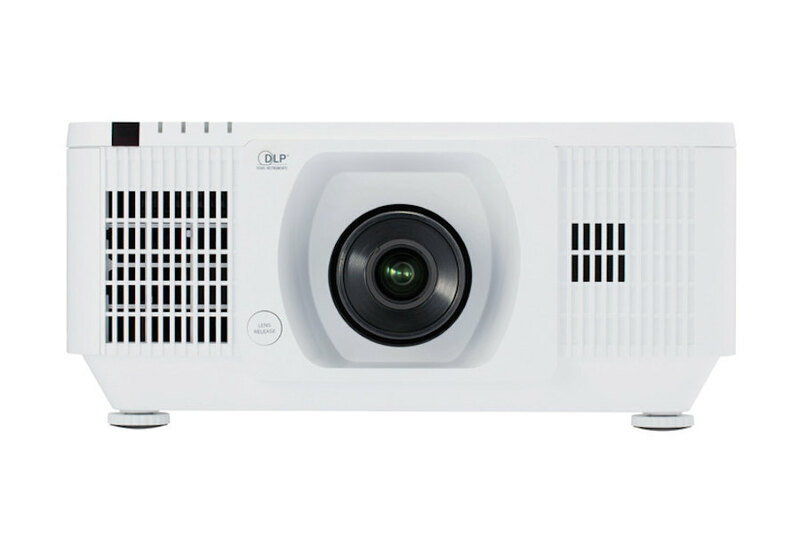 The WU6600 projector provides great installation flexibility as it can be installed at any angle. By rotating the projector 90 degrees, you can project vertically long images (Portrait Projection). Power of laser light source is controllable by every 1 % step. 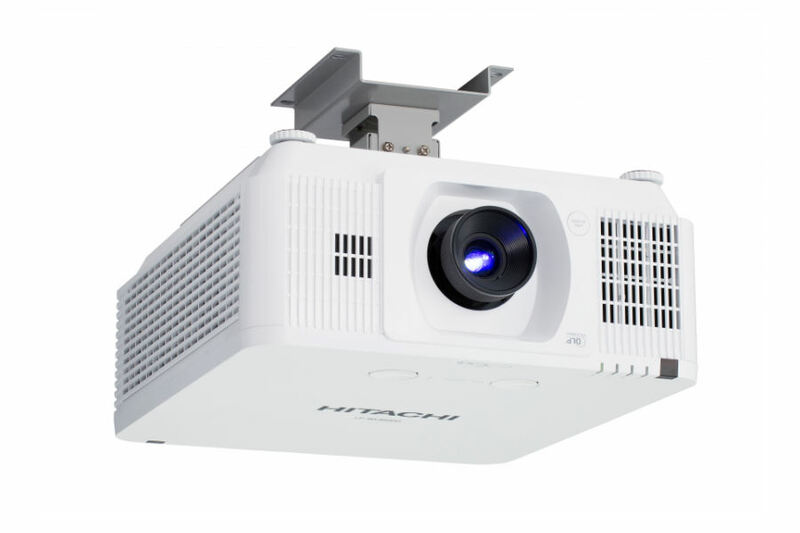 It allows the brightness of projection image fits in the luminance environment and can save the power consumption. This feature helps you to adjust the similar brightness of projectors in such the side-by-side projection. 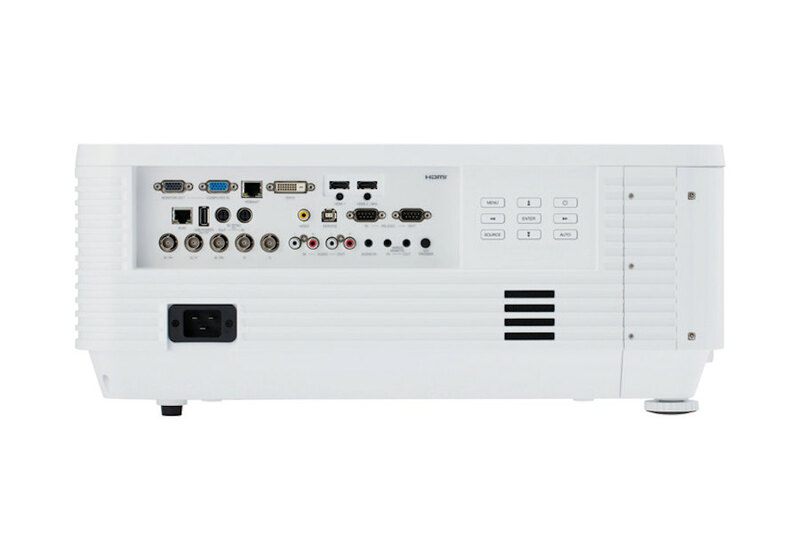 Equipped with HDBaseT™ input, capable of transmitting signals with no image degradation using standard LAN cables (Cat5e or higher, shielded type) of up to approx.100 m. The LP-WU6600 projector provides 4 digital inputs: HDBaseT, HDM11/2, and DVI-D. Lens shift can adjust the position of image on the screen by turning the adjusters manually. This adjustment is useful to fit the image to the position without causing keystone distortion. 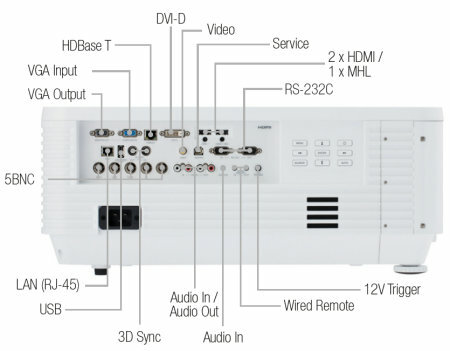 The projector's HDMI2 input terminal supports the MHL (Mobile High-deffinition Link). This feature allows you to mirror the screen of your MHL enabled smartphone or tablet on a projected screen. Lamps can blow, if you need your projector working and can't afford down time, you may need to keep a spare lamp. 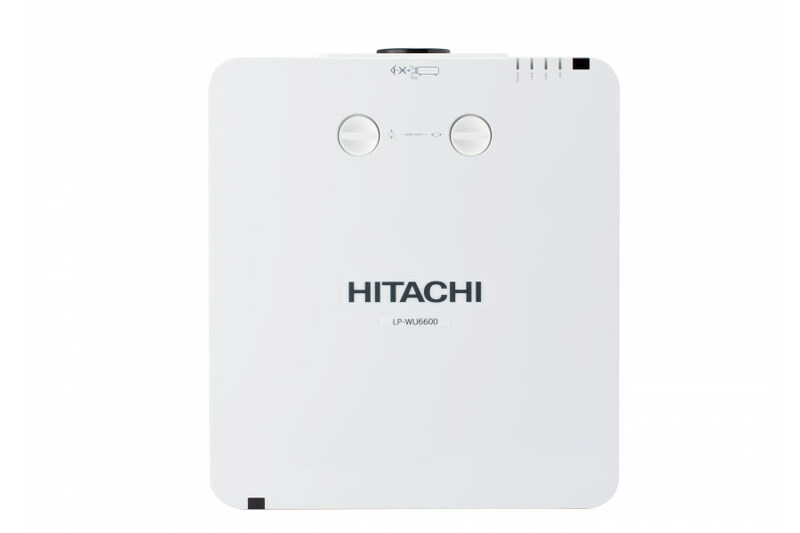 The replacement projector lamp for the Hitachi LP-WU6600 is the No Replacement.